Starting today, Virgin Mobile is offering a $20 monthly payLo plan that asks you to look deep within yourself to come to a conclusion. Are you a texter, or are you a voice caller? The plan, offered at Walmart only, is for cellphone users who are not interested in monthly data plans. The $20 you pay each month will provide you with either unlimited texts (and 50 minutes of voice calls) or unlimited calls with 50 monthly texts. The decision is yours. The plan is available only for those totin' the Samsung Montage featurephone ($31.99), or the even more basic Kyocera Kona ($15.99). And subscribers to the plan can still enjoy the internet at the rate of $1.50 per MB. At that rate, you might want to hold off on going online unless it is a real emergency. Otherwise, you might discover just how expensive a game of Words with Friends could be. If your looking for a simple, basic plan for either making/taking calls or for texting, the $20 payLo plan will get the job done. Add an additional $10 a month and you can get 1500 minutes of voice, 1500 texts and 30MB of data. Go to $40 a month and you're getting unlimited calls, unlimited texts and 50MB of data. MMS messages are 25 cents each. Maybe its a typo!! In south africa we got $0.015 per MB and calls are $0.066 per minute and thats all without contract.. In Brazil the lowest tier of plans is typically $0.25 for unlimited calls and text on a day or $0.25 for 50MB on a day. 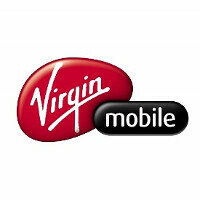 Virgin Mobile UK price = £18 for Unlimited calls, Unlimited texts, Unlimited data, Unlimited premium rate calls. 30 day rolling contract. Yet again the Americans are getting ripped off!! True, but we don't have to live in the UK. Fair trade. Lower murder rates, free health care, stronger currency, safer roads, better cars, open markets which encourage competition (cheaper mobile bills), better sports, better beer and no dumb Americans! I think I'll stick with the UK thanks. Please do. Your constantly monitored and over taxed stab-happy Orwellian society needs all the good hard loyal workers they can get. We're doing just fine without you, thanks. Almost all of your "points" are subjective. I'll take freedom over lower phone bills any day, thanks. You'll take freedom? Hahaha typical uneducated American. You obviously haven't heard of the NSA? And for doing just fine without us, I'd like to remind you that we're one of your very few allies. The rest of the world can see you for what you really are, the most hated nation in the world! And considering my original post was actually in your defence as I hate to see people ripped of by big corporations, yet you decided to leave a sarcastic reply just shows what a horrid detested nation you really are. At least I can walk down the road without being monitored by 3,000 different cameras. You sound very angry. Still mad the mighty British empire got ROFLSTOMPED by a bunch of ragtag peasants with the brains to figure out standing still in formation while the other side fires bullets at you isn't the best way to win a war? If you hate America so much, be a dear and get off our website. Cheerio. The US is run by the same people that run the UK. Arguing which country is best is like two slaves debating who has the nicer master. It's all over Mr Roundhouse, back to your guns and massacres, ohh and China wants to know when you can pay your debt..you want fries with that? Oh and you're any better we have cheap cellphone plans too its called prepaid and not being stuck on a contract phone. And by the way you are talking it sounds like you are the one getting a bit steamed under the collar. All that aside, why do you drive on the wrong side of the road?! CDMA stands for "The American Plantation". VM has the same plan in the US. I had my father opt in on the grandfathered $25 plan. Post #7,000! Quite the talkative chap, aren't you? I get unlimited data (not 50gb but unlimited) 2000min and 2000 text messages on a fast 4g network for 30€. Yeah, mobile stoneage is hard to overcome :). T-Mobile has had a similar plan for a long time -- $30/month for 100 minutes, unlimited texts, and 5GB data. A little more money, but a much better value compared to these Virgin plans. Additionally, T-Mobile has a $40 plan at Walmart for unlimited talk and text and 2.5GB of data at 3G. I wasn't disputing it's existence. I was disputing the value. Tmobile - Steeerike one Wal mart - Steeeeerike twoooo! 3G - Steeeeerrrrike three! Unless you live in the country, T-mobiles $30 plan is excellent and is what I use. The network is great where I live. Factoring in Google Voice and FreedomPops new app you also get unlimited calls. There is absolutely nothing wrong with the plans being offered by Walmart. They are still on the same networks at a cheaper cost to you the consumer. Straight Talk is also via Walmart, and Target also has their own MVNO called Brightspot. These Virgin Mobile new plans are in fact a joke, offered with two feature phones and are way over priced. If you want to be on the Sprint network, Republic Wireless, FreedomPop and Ting offer much better value. Consumer Cellular is also good via AT&T at this price range.